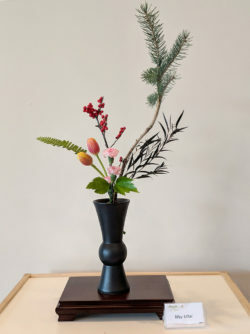 Jeanne Holy, our sensei for the tatehana workshop, is not only president of the Illinois Prairie Chapter of the Ikenobo Ikebana Society, she also owns an electronic hardware design firm. 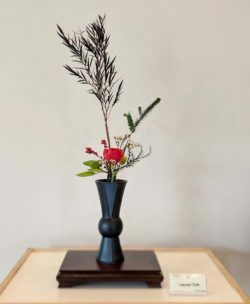 Perhaps the ability to design electronic hardware shows why she has the ability to grasp and teach the intricacies of tatehana, the precursor to rikka. 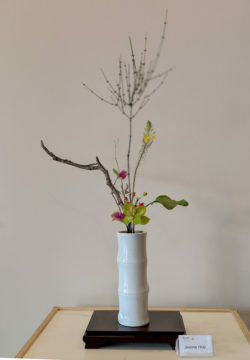 First, she very patiently taught us how to pack our vases with komiwara (straws)…not an easy task, but necessary to provide support for the tatehana (standing flowers) arrangement. 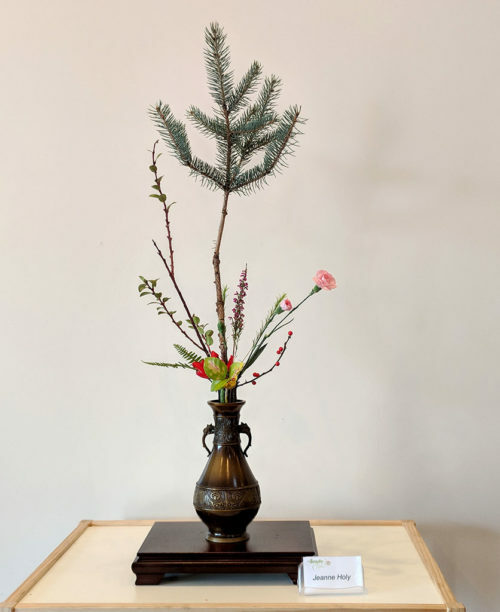 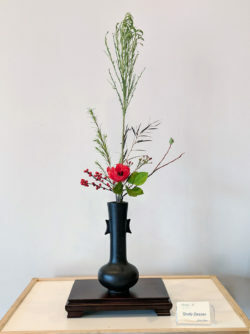 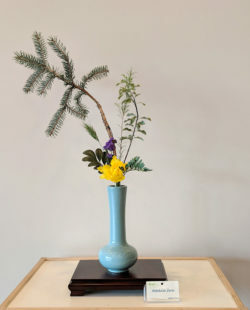 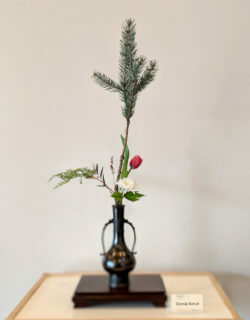 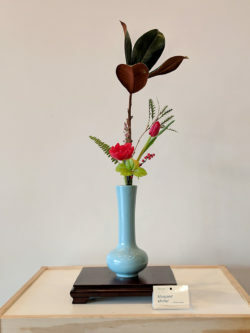 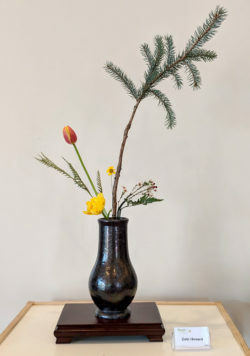 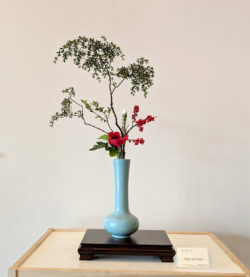 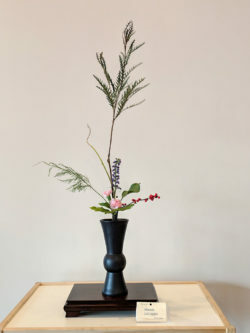 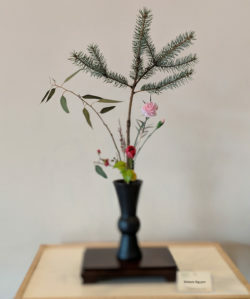 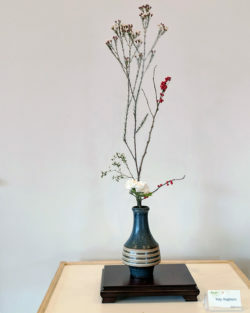 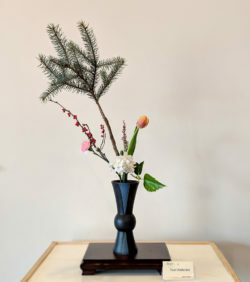 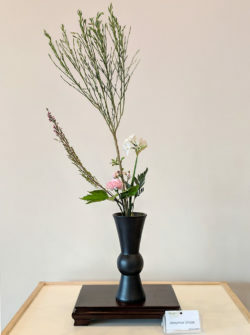 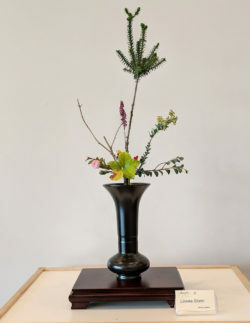 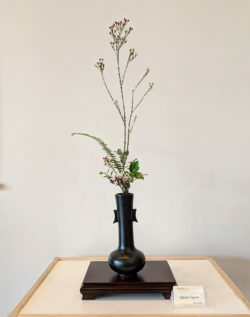 Once we all had our vases prepared, we inserted our motogi (main branch), followed by our shitakusa (materials below the motogi). 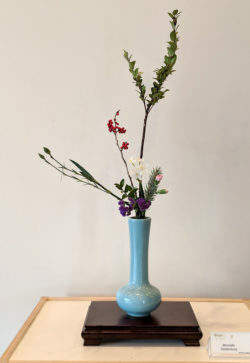 Since there are no rigid rules for number of stems or types of materials to use, our finished arrangements were very varied and all BEAUTIFUL, thanks to our world-traveling sensei who made a brief stop in our desert paradise to enlighten us to even more of the wonders of Ikenobo.